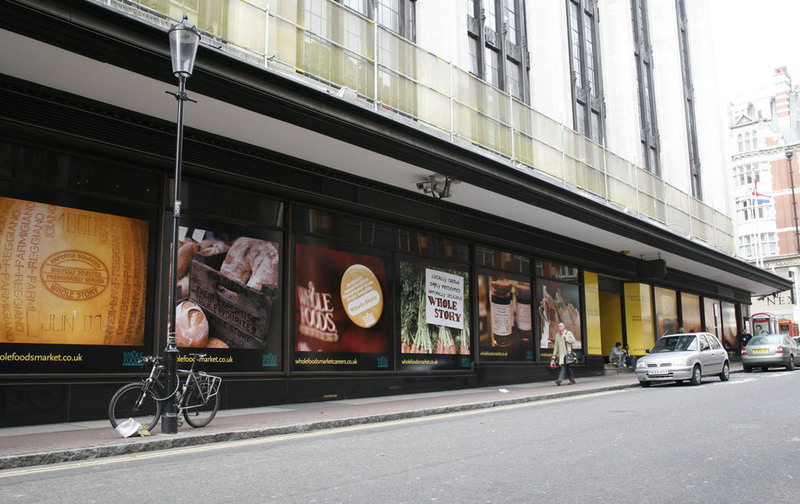 The Barkers Building on Kensington High Street used to house an entire department store so you can imagine how much fresh, good-for-you food you can fit into this 80,000 square foot site. Whole Foods Market is a big hit in the US and has been cleverly canvassing its UK audience for some time, advertising on the brown paper bags that organic-conscious shoppers take away from Fresh and Wild (which they have also owned since 2004). While they do prioritise organic produce, not all of it can be categorized as such. Where organic isn't possible, the emphasis is on locally sourced foods that are fresh, wholesome and healthy; this means that all foods are free from artificial preservatives, colours, flavours, sweeteners and hydrogenated fats. The emphasis here is on choice with more than 100 different olive oils, 40 types of sausage and 50 fresh juices for starters. There's an upstairs market where you can choose from 11 different food venues: oven-baked pizza, dim sum, sushi, a trattoria and a juice bar serve freshly prepared food rustled up by a team of 40 chefs. It's not just a food shop, you can also get holistic treatments, homeopathic remedies and practice some yoga here. Given the trend for all things organic it's no surprise that this original shop was the first of several Whole Foods Market stores to open across the capital. What are the best dining options near Whole Foods Market London? Whole Foods Market gyms, sporting activities, health & beauty and fitness. The best pubs near London Whole Foods Market. Whole Foods Market clubs, bars, cabaret nights, casinos and interesting nightlife. Where to have your meeting, conference, exhibition, private dining or training course near Whole Foods Market. From cheap budget places to stay to luxury 5 star suites see our special offers for Whole Foods Market hotels, including The Milestone Hotel London from 86% off.